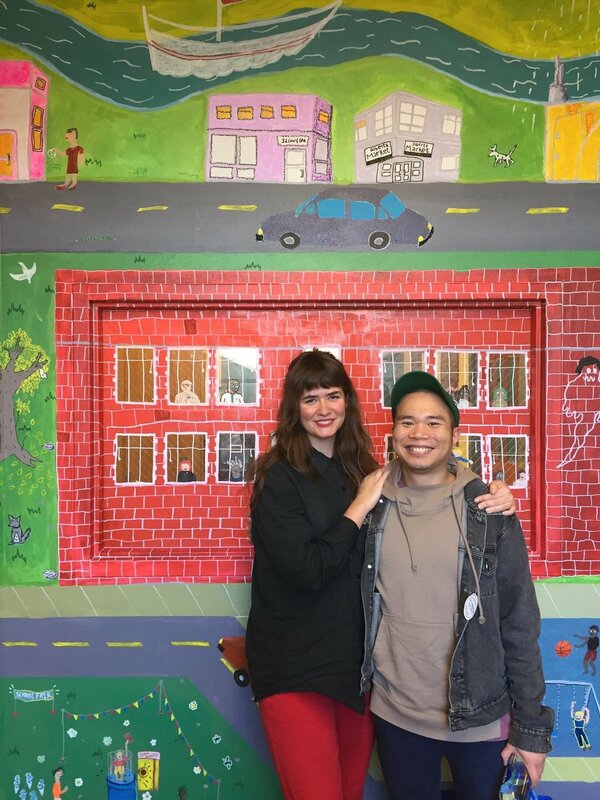 Roz Crews and Ralph Pugay were asked to create a mural that would commemorate the middle school at MLK Jr. School. They decided to incorporate the student's thoughts and feelings into the design and production of the mural. They started by surveying all of the middle school students to find out about their memories of MLK and their dreams for the future. Next, they facilitated student-led neighborhood walks with 5-8 students at a time; each student got a digital camera to record things they like about the neighborhood surrounding the school, and as a group, they got to choose where we walked. 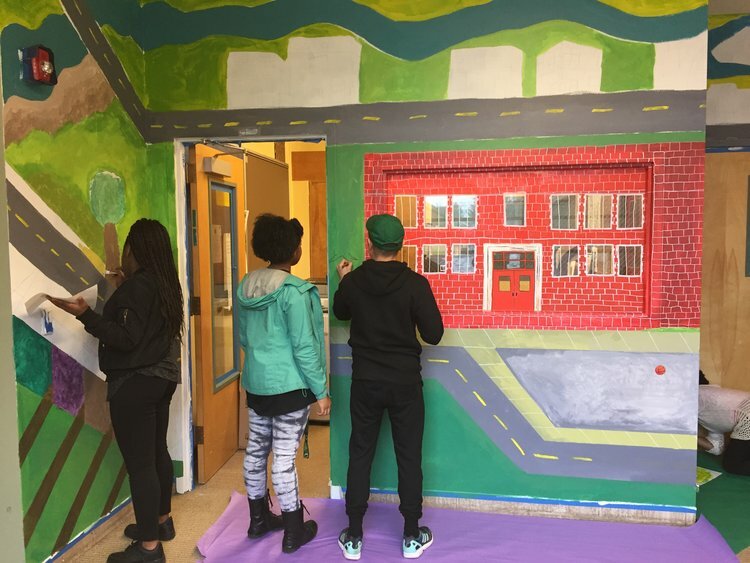 The artists used the photos and experiences that came out of those walks along with anecdotes from the surveys to design a mural for the hallway. Students were invited to help mix paint, paint walls, draw figures, and offer more ideas for what should be included. They painted during school hours, and those who were interested in participating collected notes from teachers to skip class and paint. Real people, places, and stories from the school and surrounding neighborhood make up the content of the mural.